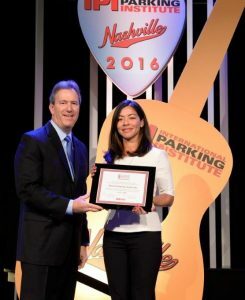 Miami Parking Authority (MPA) receives the Accredited Parking Organization Award of Excellence at the International Parking Institute’s (IPI) annual convention and expo held in Nashville, Tennessee. Accredited Parking Organization (APO) is a designation for parking organizations that have achieved a comprehensive standard of excellence. Launched in 2015 by IPI, the accreditation recognizes best practices in responsible parking management and operations, customer service, professional development, safety, and security. To become an APO, an organization must demonstrate its commitment to ongoing evaluation and improvement of program outcomes through the implementation of industry best practices. 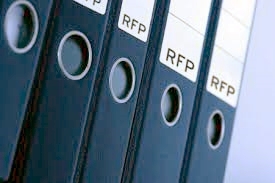 Applicant organizations work with one or more third-party reviewer(s) to organize and present evidence of accomplishment of more than 150 criteria in 14 categories related to industry best practices. The APO with Distinction designation is reserved for organizations exceeding the standard. APO was developed to be applicable to institutional, municipal, medical, university, airport, private, and other parking programs. MPA is one of the first five parking organizations to earn the APO designation and also receive this year’s annual Award of Excellence for Innovation in a Parking Operation or Program. Every year since 1982, the IPI Awards of Excellence competition recognizes world-class examples of parking design and program innovation. All of the excellent entries considered each year (facilities and programs) have contributed to advancing the parking profession.